Ignacio Palomo’s proposal on “Transformative change as a response to climate change in mountain social-ecological systems” has been selected for the MRI Synthesis Workshops. A total of 14 workshop proposals were submitted and eligible for review, which was comprised of MRI Principal Investigators, MRI Science Leadership Council members, and the MRI Executive Director. 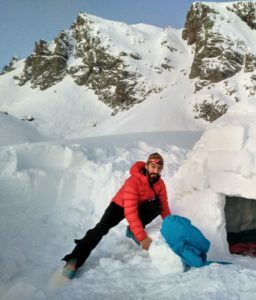 As part of the mission of Mountain Research Initiative is to promote research on mountain regions across borders and disciplines through connection and collaboration, the Mountain Research Initiative issued a call for synthesis workshops in December last year. The purpose of this call was to provide funding for workshops that bring global change researchers in order to address specific topics of interest to the mountain research community.